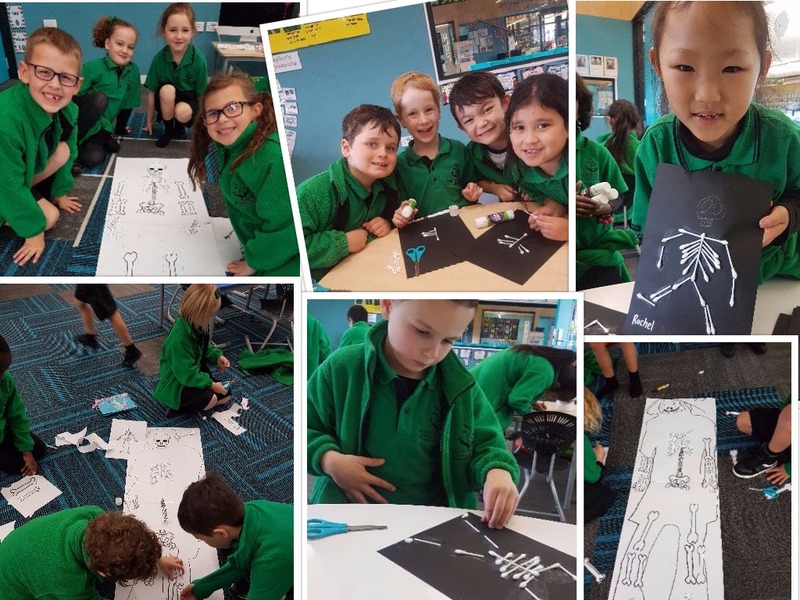 Look at our Learning Around Bones! We have been busy learning about our bodies and how to look after our bones. We read The Magic School Bus which taught us about our skeletons. We tried piecing together our bones, we created a skeleton out of cotton tips and read many cool body books! Come in and have a look at our skeleton display! This looks cool Te Ara Tupu! We like the skeletons you have made. It looks like you have done some awesome learning about bones. Asher loved learning all about his body! The cotton tip skeletons were so awesome!! !